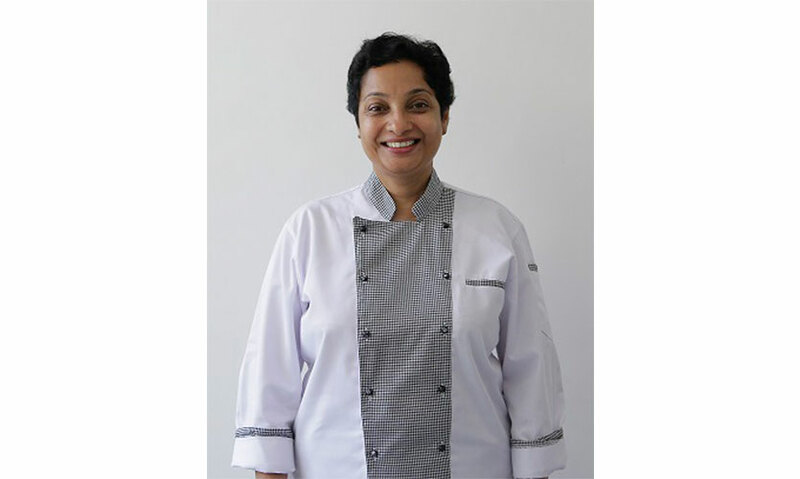 Sri Lanka’s first ever lady Executive Chef and the Founder / Managing Director of Win-stone School of Culinary Arts (Pvt.) Ltd.Ms. Iyanthi Goonewardena shared her lifelong passion for culinary art, reminiscing the tough, challenging yet truly inspiring journey of over three decades in the local hospitality industry. Q: Can you tell us a bit about yourself, and what made you pursue a career in this industry? A: I completed my secondary education in Bandarawela and pursued higher studies at the Ceylon Hotel School. After migrating to Australia I realized the opportunities enjoyed by the Chefs there and decided to become a Chef. TAFE (Trainer for Technical and Further Education) of South Australia is the institute where I specialized in cookery, and I also worked there for two years before relocating to Sri Lanka. My journey in the local hospitality industry began from Grand Oriental Hotel (GOH), Colombo as a Sous Chef and in 6 months I received a promotion to become Sri Lanka’s first lady Executive Chef. After serving at GOH for three years, I founded Win-stone School of Culinary Art, and that was 14 years ago and now I’m helping young aspiring hoteliers to achieve their dreams. Q: What were the challenges and obstacles you faced at the outset of your career and how did you overcome them? A: The hospitality industry is majorly a male-dominated industry, and you may find only a handful of female Executive Chefs, whereas in Australia we find many female executives. This is purely because most women either hesitate or have the low confidence to manage men at work. I feel this is due to our cultural influence, where women are raised from a young age to respect men and never attempt to stand above or surpass them. However, when I assumed the role of Executive Chef, all my subordinates were male, but I didn’t find any difficulties to manage them. Perhaps, my upbringing in a family of three boys may have given me the edge without being gender-biased. To me, gender is never an issue to become a good chef. In the past when I first began studying cookery, there were only very few females in the industry. However, numbers are gradually increasing and today you can find many women proactively serving in the hospitality sector. Q: What motivated you to establish Win-stone School of Culinary Art? A: There's a huge demand for chefs in the country. 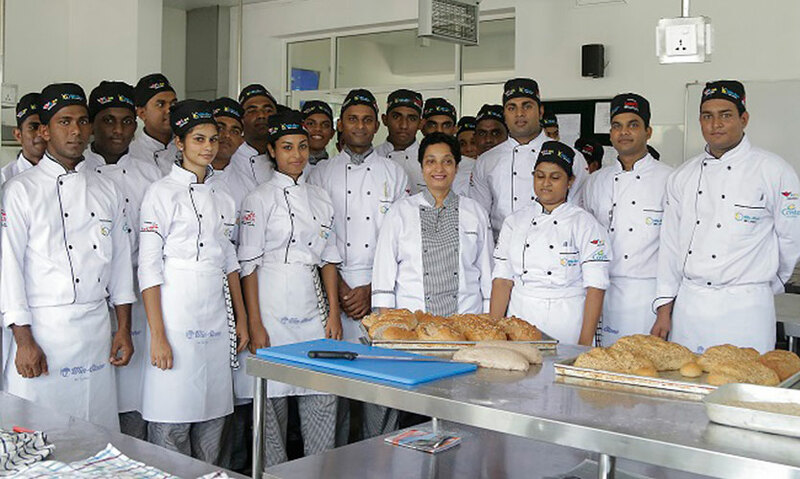 And with the objective of sharing my years of experience gained in both Australia and Sri Lanka with the new generation of aspiring hoteliers, I launched Win-stone School of Culinary Arts 14 years ago. Many students who graduated from Win-Stone have successfully progressed in their respective careers. We offer certificate and diploma level courses in cookery, bakery as well as food and beverage. And to improve their foreign language proficiency and support their future studies and career prospects, we offer English classes for our students. Diversifying the services, I have also ventured into recruitment for passenger cruise ships, an emerging sector is fairly new in Sri Lanka. And I’m happy to say that we’re the first company in Sri Lanka to provide staff from hospitality sector for passenger cruise ships. Q: With your vast experience in the hospitality sector, what is your message for young women interested in joining the hospitality industry? A: The demand for skilled hoteliers are gradually increasing in the hospitality industry, where there’s more demand for females. At present, there are about 185,000 individuals directly employed in the industry, where female representation amounts to only 7 or 8%. This is mainly due to the misconception denoting that hospitality industry is not a good trade for women. However, with my experience so far, I don’t agree. I believe that if you have self-discipline and self-confidence, you can manage yourself well in any industry. I would like to encourage women to join and experience numerous opportunities and benefits Hospitality sector offers. Hotels maintain very strict rules and regulations, and you are accountable for your demeanour and conduct. Therefore, there’s nothing to fear or hesitate about joining the hospitality industry. Q: How do you view the future of hospitality industry in terms of Sri Lanka? A: Hospitality industry is booming. If we take last year, there were 2.1 million tourist arrivals recorded. And the numbers continue to increase. There are new hotels and supplementary accommodation emerging, and I believe the industry will continue to thrive in the future. Ms Goonewardena is the First Lady Executive Chef in Sri Lanka possessing 20 years of experience in the Hospitality Trade in Sri Lanka and abroad and is a licentiate of CHSGA, Advance Diploma holder in Food Preparation and Culinary Art & Patisserie, City & Guilds London, Level III & IV in Hospitality (Commercial Cookery), TAFE South Australia. She was an honorary member of the monitoring committee in Food & Beverage for Ceylon Tourist Board 2008. 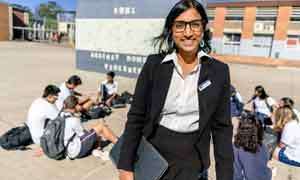 She is also a member of the National Education Commission. Ms Goonewardena was instrumental in initiating Sri Lanka’s first online cookery and f & b program. She also started the first ever culinary paper in Sri Lanka with a significant readership. Known for her innovative developments Ms Goonewardena’s vision is to popularize the field of culinary amongst the youth of Sri Lanka. Ms Goonewardena is widely known as a skilled human resources training personal and has been involved in training youth under the “Distance Education Modernization Project” (DEMP) carried out by The Ministry of Higher Education for which funding has been granted from the Asian Development Bank from 2006 to date. This program has trained 1200 students in total out of which 350 students were from the Eastern Province. By getting her Master Trainer certification from TAFE South Australia she has proven her capabilities as a person who has the innate skills required for training and developing personnel in the field of Culinary Art.